Abigail Ahern runs one of my favourite interiors blogs and her ‘style’ was featured in the latest edition of (digital only) Rue Magazine. I’ve mentioned before about my magazine junkie tendencies (see Another Thing) and was reading today about a blogger who’d gone cold turkey on her habit – centred on women’s magazines. I have dipped a toe in these and run away, screaming. Mainstream women’s magazines seem to be focussed entirely upon providing multiple to-do lists for every topic under the sun to women who, what? Don’t have the brains to decide for themselves how to live their lives? I absolutely hate those “Things you must …” wear/do/see/go/be/think pieces that seem to form 90% of the articles within such periodicals … that’s when they’re not providing yet another ‘uplifting story’ of a woman who lives her life to ‘inspire’ you in some meaningful/insightful way that usually makes you want to go back to bed and sleep forever. Are there women who love to be told what to do in this narrow, prescriptive, regimented way? I’m not sure I know any. And the style advice, ugh! It always seems entirely tailored to the huge mainstream advertisers who presumably provide much of the finance that supports each enterprise, doesn’t it? Which obviously focusses it upon the stereotypical marketeer’s idea of a ‘woman’s life’. Double ugh! That’s why the internet has been such a boon. So many people out there doing their own thing and, with us all tapping away, looking for stuff that interests us, there is so much to genuinely inspire, surprise and delight you. I have found that many magazines, particularly those with interests in individual style, design, art and all sorts of creative endeavours have been re-energised and refreshed by the digital revolution, broadening their output to incorporate this exciting new medium, supported by those of us spreading the word in the blogosphere on our own special interests. 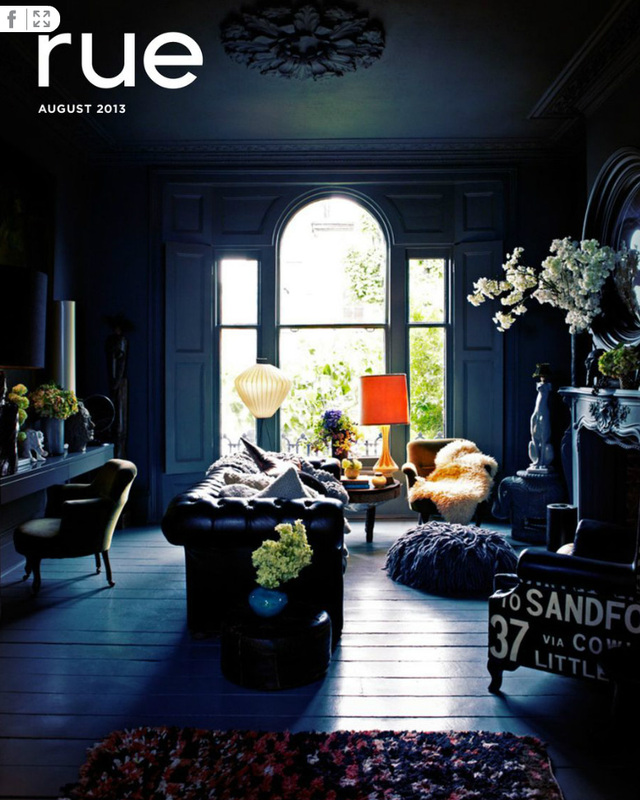 And, if you like interiors, do go across to check out Abigail Ahern and Rue Magazine. Let me know if you like.